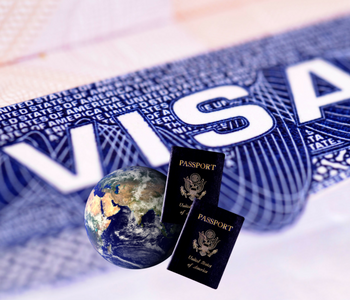 How to get work visa for US, UK, Canada, Australia. How to get work visa? You need to have a valid job offer from a destination country's institution (company, school, hospital, etc.). Its possible organization might have to get approval for specific requirements before offering you a job offer like minimum wage and some other labor requirements/clearances. Appear for interview at consulate at your current country of residence. You might have to get clearance certificates like Police clearance, Degrees, Health certificate, etc. Many countries offer a path to permanent residency (once you live and work there for certain years and complete all required paperwork/legal requirements etc.). If you have a work visa, that doesn't automatically grant a work visa to your spouse. Some countries provide an option to become resident/citizen by investment like Antigua and Barbuda, Malta, Dominica, Cyprus. Countries like Canada, Australia, NZ provide point based system (an option to immigrate even if you don't have a job). You earn points based on your skills, education, age etc.